It was a little more than a month ago that Microsoft impressed us with some unexpected announcements at Gamescom 2015. While the best reveals were already given at E3, it was cool to see the Xbox team offer a few more surprises for their loyal fan base to look forward to. From our first look at Quantum Break and Scalebound 4-player co-op details, to the reveal of Halo Wars 2, we weren’t disappointed. 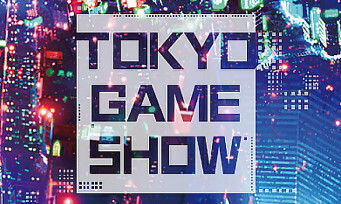 At Tokyo Game Show 2015, Sony attempted to do just the same by unveiling a host of exciting PlayStation news. Between the pre-show and conference itself, PlayStation 4 owners were no doubt left satisfied in knowing that, although Xbox looks to have more major title launches this coming holiday season, they too have plenty to look forward to. Bloodborne was the game everyone knew would be good, but instead got something great. The PlayStation 4 exclusive title by FromSoftware currently has one of the highest metacritic ratings of any game on Sony’s newest console; and for good reason, it takes the best of the Dark Souls series and combines it with a captivating world and punishing yet addicting combat system. Fans of the game are excited to know that The Old Hunters will serve as the first DLC content for the acclaimed title and will be available November 24, 2015. One of the biggest new game announcements is a spin-off by Capcom titles Resident Evil: Umbrella Corps, a competitive shooter set in the Resident Evil universe. It will be available on both PS4 and PC. Clap Handz also had a chance to show off the latest entry in their popular golf series Hot Shots Golf, or Everybody Golf outside of North America. Gravity Daze 2, whose name is subject to change in the U.S., was also released and is the sequel to a PlayStation Vita title known for its stylistically animated visuals and gravity-defying gameplay. Both these titles are slated for a 2016 release. Other game reveals include 13 Sentinels Aegis Rim by Vanillaware, the makers of Dragon’s Crown and the Muramasa games. Also announced were The King of Fighters XVI (PS4), One Piece: Burning Blood (PS4, Vita), Toukiden 2 (PS4), Nioh (PS4), SaGa Scarlet Grace (Vita), Gundam Extreme VS-Force (Vita), and Danganronpa 3 (PS4, Vita). Last but not least, Sega’s Toshiro Nagoshi confirmed that Yakuza 6 was in development. Perhaps the biggest re-release announcement from Sony was Kingdom Hearts 2.8 Prologue, a PS4 title that features an HD remake of Dream Drop Distance as well as 2 episodic titles that serve to connect the game with the upcoming Kingdom Hearts 3. To celebrate the 10th anniversary of the Yakuza series, the original title is also getting an HD remake that will release for PS4 in Fall of 2016, along with a demo of Yakuza 6. Gravity Daze will also land in Europe and North America in February 2016 as Gravity Rush. Ubisoft had a chance to show off new trailers for their big upcoming titles Assassin’s Creed: Syndicate and For Honor. The For Honor trailer includes information on the first playable hero in the game, The Oni, while the AC: Syndicate trailer revealed a new DLC: “Jack the Ripper”. Other trailers we got to look at for the first time were from Square Enix’s World of Final Fantasy and Star Ocean: Integrity and Faithlessness (PS3, PS4) , as well as one from Dragon Quest Builders (PS3, PS4, Vita). The new Dragon Quest game will release on January 28 and the new Star Ocean on February 25 (both in Japan). Sony is preparing to make it even harder for the Xbox One to succeed in Japan by dropping the price of the PS4 in the Land of the Rising Sun. The cut is 12%, which in U.S. currency means that Japanese gamers will be paying $292 (34,980 yen) instead of $334. Project Morpheus has also had its name changed to PlayStation VR. Along with this announcement, Sony provided a demo reel of games set to release for the new virtual reality device. Learn more about the School of Game Design at the New York Film Academy, with campuses in New York and Los Angeles.